TROX is the leader in the development, manufacture and sale of components, appliances and systems for indoor air conditioning and ventilation. 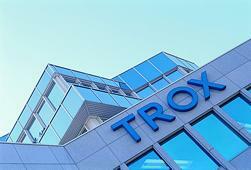 Dedicated research has made TROX a leader of innovation in these fields. The human being is the yardstick and his well-being is our goal. Since the company was founded in 1951, this has been the motto for company decisions. Systems from a single source. The interaction between all technical building services can make or break the whole system. This is why TROX offers everything from a single source. Air handling unit and ventilation components complement each other perfectly. This results in maximum energy efficiency while the coordination effort during the design and installation stages for a project is reduced to a minimum. The perfect system for each building. 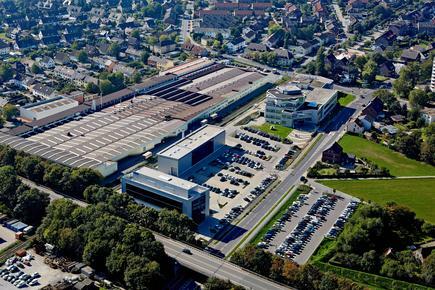 Working closely with its customers, TROX develops specific systems that take the relevant criteria for each building into account and meet the requirements of its occupants. This close cooperation leads to sustainable solutions that help to increase people's well-being and to protect life and the environment.